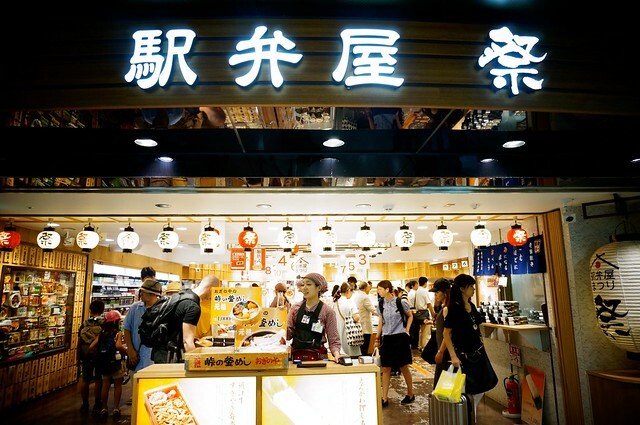 Tokyo Station’s Ekiben shop with all the different specialties from all over Japan. 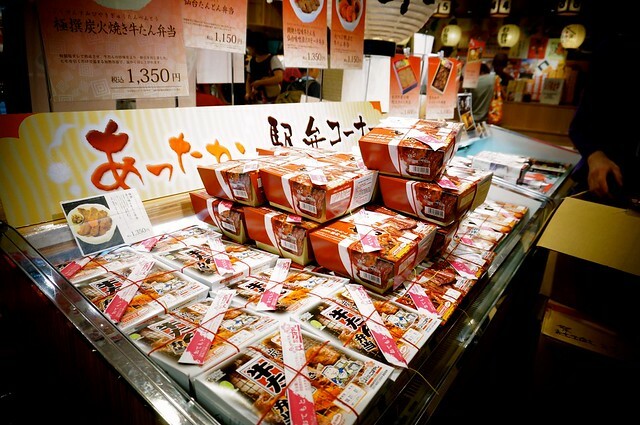 Ideally, you should be eating ekiben based on the specialty of the region. 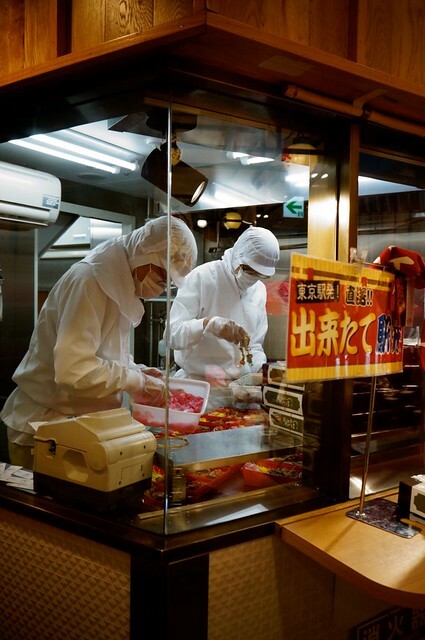 Unfortunately, if you’re starting in JR’s Tokyo Station, they hardly have any Tokyo Ekiben specialty to offer you and your best bet to specialty is Tokyo Banana. 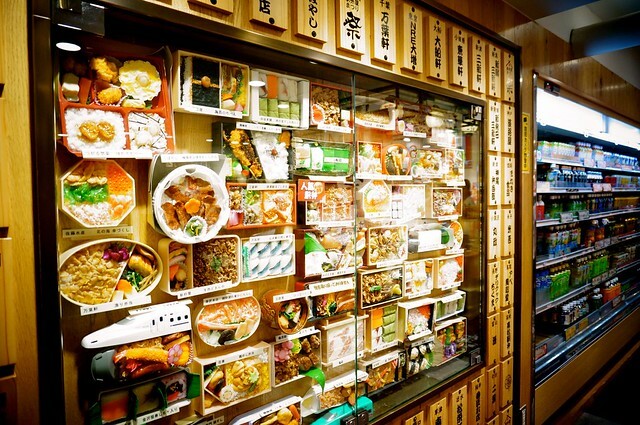 Nonetheless, their large ekiben store in Tokyo station does offer the best ekiben specialties all over Japan! So it’s great place to start one’s ekiben journey. Beef was particularly popular over the summer. I travelled with N for this train ride from Tokyo and I did tell her that for this trip, one of my priorities was tasting all the ekiben. If I can taste ekiben specialties from north to south, that’ll be great. 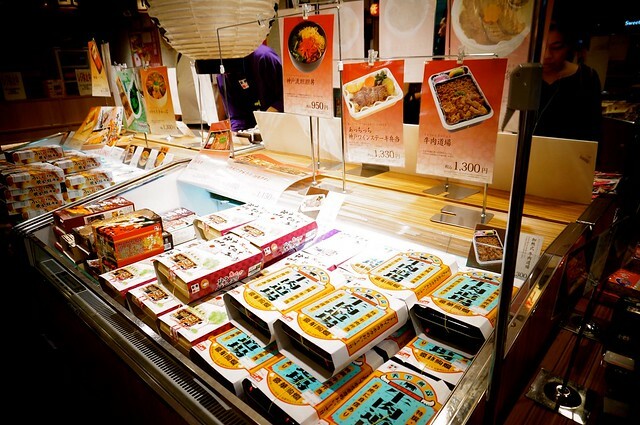 However, when we crossed this ekiben store in the wee hours of the morning, we were stumped with all of the choices. Honestly, where do we start? 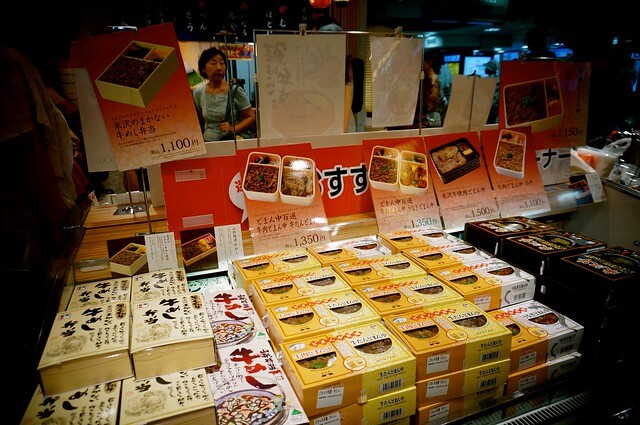 Bento specially prepared in Tokyo Station. They offered seasonal specialties. There were also ‘hot’ ekiben which had fancy contraptions to heat up your meal. Then there were cute ones with nice bento boxes. There were also freshly-made onigiri with various fillings including my favorite mentaiko (spicy cod roe). Life is always harder when you’re stumped with choices. In my case, I was struggling where to start my ekiben journey. More meat. Surprisingly, I never bought a beef bento. Fortunately, N tapped me and told me about this interesting ekiben she saw at the front. “It comes in a jar. 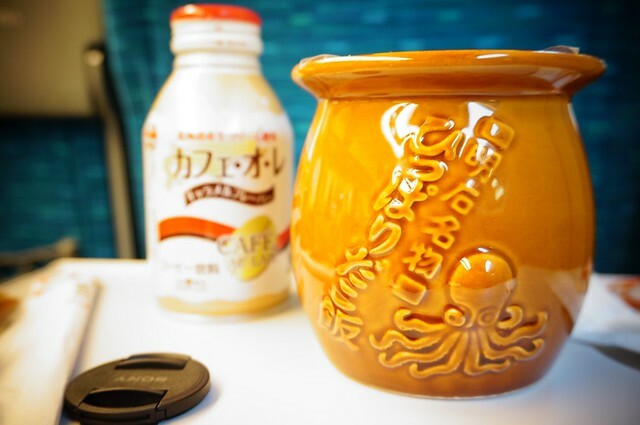 And I think it’s octopus.” I followed her to the front and saw the curiously small clay pot with a picture of an octopus with his tentacles in the air. Hippari Dakomeshi from Akashi. Akashi’s at the western side of Japan known as Kansai. One of my friends from Kobe did tell me I should try the takoyaki with soup in Akashi. I guess Akashi’s known for their octopus. But more than the octopus, I was more curious about the pot. N ended up getting another thing which she eventually regretted as soon as I opened my takomeshi (octopus rice) ekiben in the train. Akashi’s Hippari Dakomeshi featuring Akashi bridge and them tentacles. 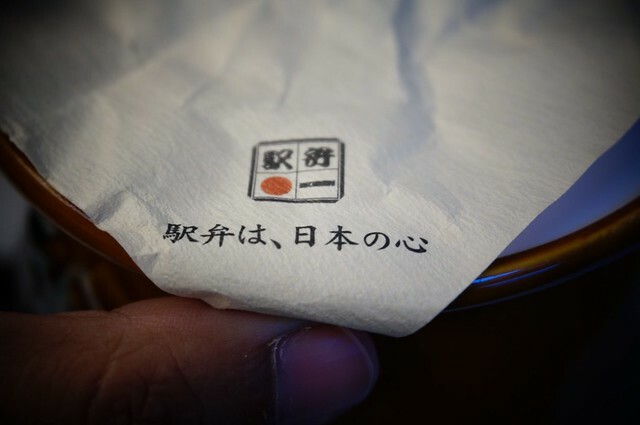 “Ekiben is at the heart of Japan.”… it’s at the heart of my stomach too. 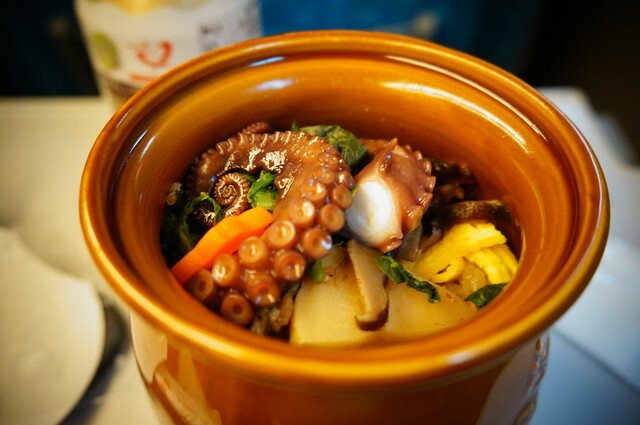 Hippari Dakomeshi is an ekiben where everything is cooked inside the pot, from the rice, to the veggies, and partly, the octopus. Apart from the octopus and the rice, inside the pot there’s bamboo shoots, carrots, shiitake mushrooms, spinach, and a saprize takoyaki ball. 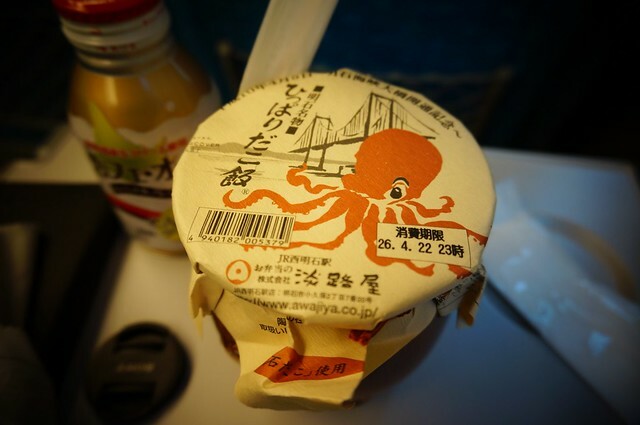 If a treasure pot was filled with octopus rice, it would look like this. I was actually quite pleased with how delicate everything tasted. It’s one of those umami kind of dishes where everything is so subtle that you learn to appreciate the flavors of the ingredients themselves. This ekiben was also cold which was fine because it didn’t make the rice claggy or the octopus too tough to eat. It was such a delight to eat and it was like a treasure box where you discover new things as you go deeper into the pot. For my first ekiben, it was a lovely treat! The funny thing afterward was N asking me if I was going to bring my pot home. Of course! It was such a nice pot that I can put things in it! Currently, I use it to store lard I get when I cook pork crackling. One of my teachers confessed that he actually kept on buying this pot and he uses it as a dish to cook individual servings of rice when he has friends over for dinner. It’s a memorable ekiben that keeps on giving! I couldn’t have asked for a better first ekiben to try. Victor's Victorious Extra Large Katsudon from Yuri on Ice! YOU MOCK ME WITH YOUR TENTACLES! SOMEDAY YOU WILL GET YOUR TENTACLES!!!! !